​Chaos is a ladder, but in Dota 2, the ladder is chaos.Here's how to increase MMR in Dota 2, which can be a fickle and brutal challenge. Playing ranked can be one of the most frustrating, annoying and tilting experiences in gaming, but it can also be incredibly rewarding when done calmly and correctly. 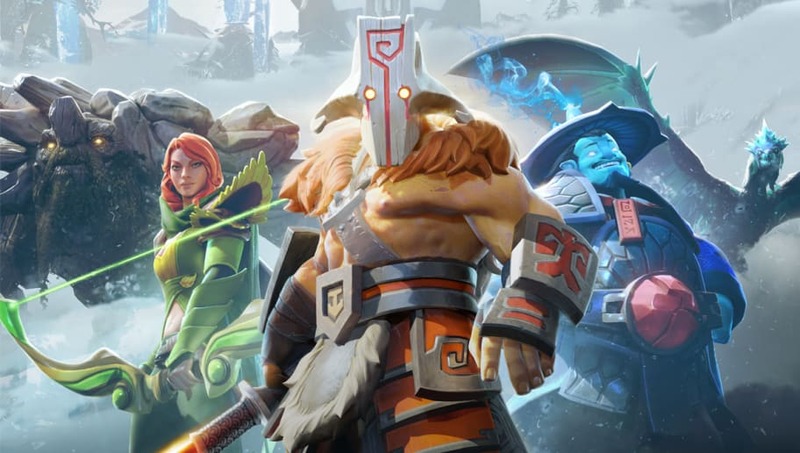 Everyone wants to reach some goal in Dota 2's ranked system, whether it's Immortal, Divine, or even just going from Crusader one to five. Whatever rank you are and whatever rank you want to hit, the principles for gaining MMR are the same throughout. This might seem simple, but after playing a few games of ranked, it will be incredibly difficult. There's a reason that getting upset is called "tilting." It's because it puts you on a downward slope that inevitably leads to more losses. So to prevent that, try to ignore the things that make you mad. If someone is flaming, just instantly mute them, the loss in communication is usually never a good reason to keep an angry teammate un-muted. Many games are won and lost even before the horn has blown, because the draft is the main decider in winning. So choose a hero with care, based on three factors. First, factor in what heroes you're good with. If you play mostly carry, pick carry heroes you know you can play, whether that's Anti Mage or Specter or whatever. Second, counter pick and synergize with the team. If the enemy is loaded up on silences and disables, picking something like Storm Spirit is usually a pretty bad idea. On the flip side, if they have a melee carry, try picking something like Ursa to bully them out of lane. Think of the heroes that you hate playing against most, and that will give a good sense of counters. Lastly, pick for the meta. Study win rates, professional drafts and recent patches to learn what heroes are in and what heroes are out. And always read the patch notes when they come out. When playing ranked, it's somewhat common to see long stretches of win streaks and equally long losing streaks. Momentum and tilt are like Yin and Yang, two sides of the same coin. It's easy to tell when you're tilting, but it's harder to feel the momentum. If you're feeling great after winning a match, there's a good chance that you'll play the next match just as skillfully and concentrated. Climbing the ladder is a test of skill, but more importantly a test of mental fortitude. Stay calm, pick well, play well, and get out there and start popping those plus 25s!